We're always on the lookout for ways to pack lighter and tighter. 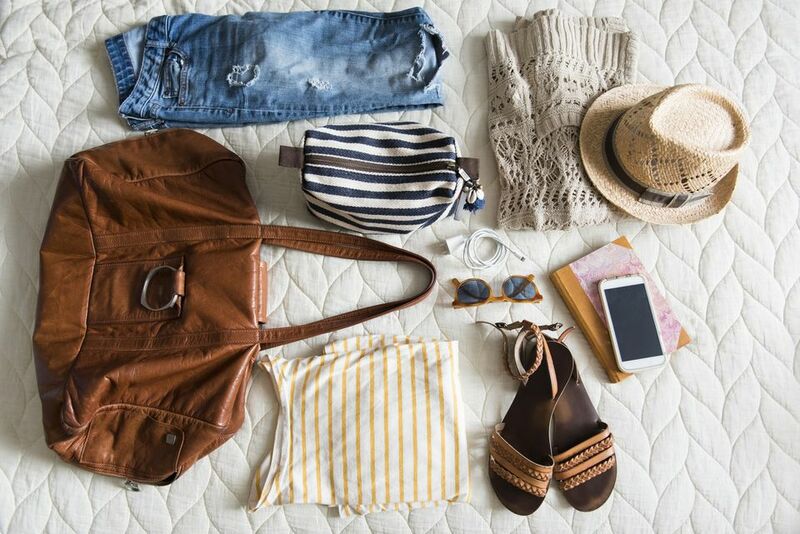 Here are some very accessible family packing hacks from Pinterest. First up: Most hotels furnish blow dryers these days, but what if you travel with other heated hair appliances? 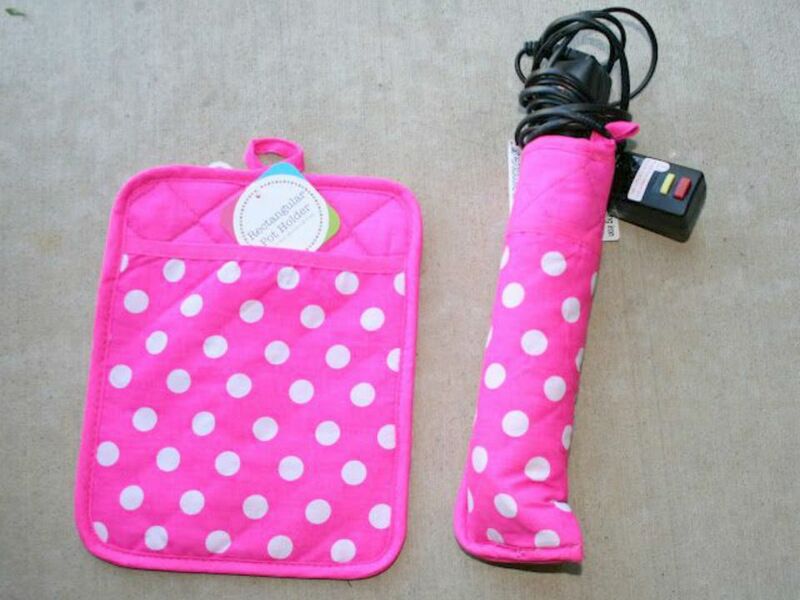 Pop a still-warm curling iron or hair straightener it into a pot holder for safer travels, advises the Huffington Post. Find this pin on my Brilliant Packing Tips board. So smart! From Buzzfeed comes an easy way to give a wine bottle some added protection in your suitcase. Do you get squeamish just thinking about laying down your family's toothbrushes on a hotel bathroom countertop? (You should. It's one of the germiest places in a hotel room.) The Blog of Francesco Mugnai shows you how to solve the problem with a few little clothespins. For shorter trips, leave your makeup jars and big moisturizer bottles at home and just pour a dollop of favorite products into a clean contact lens case, suggests Good Housekeeping. "Old pill bottles are the perfect size for Q-Tips," says Her Packing List. Use one to keep cotton swabs clean and dry, then just toss it out on your last vacation day. Want to keep your shirt collar from getting crushed inside your suitcase? The Ship Mate Cruise Blog says a rolled-up belt tucked inside the collar will do the trick. Save those cheap hotel shower caps, recommends Lifehacker. Slipping your shoes inside the disposable headgear will help keep the rest of your belongings clean. If your shampoo or moisturizer has ever leaked inside your bag, you can appreciate this smart tip from Alexa Travels. Simply slide a square of plastic wrap over the bottle, screw on the cap, and you're good to go. Keep your earrings, rings, and necklaces tidy in an inexpensive drugstore pill-a-day organizer when you travel suggests the How to Have it All Blog. Nothing is handier on a trip than a sarong, preaches Budget Travel: "Sarongs are the most underrated packable in the history of man. They can be used as beach towels, regular towels, sheets, skirts, shower wraps, makeshift bags, etc." Take this handy tip from Real Simple and turn it into a travel hack: Putting dryer sheets inside shoes will keep odors away, and remembering to do it when you travel will keep your whole suitcase smelling fresh. While the TSA limits how much liquid or gel you can bring through airport security, Map Happy explains how to avoid buying overpriced bottled water at the airport. Simply bring an empty water bottle through security and refill it at a water fountain on the other side of the checkpoint. Want to be extra smart? Bring a Hydaway collapsible bottle. Have you ever inadvertently nicked yourself on an uncovered razor? This hack from Swifty.com will keep your razor from cutting your hand if you reach inside your toiletry bag without looking. Just fasten a binder clip over the end of the razor and no more worries. In the weeks coming up to a trip, save your plastic dry-cleaning bags. Use them to wrap your wrinkle-prone items and your clothes will arrive miraculously crease-free, as demonstrated on MonkeySee.com. If the TSA's 3-1-1 rule is an insurmountable challenge, consider packing solid shampoo bars from the cult favorite cosmetics company LUSH. These just-add-water shampoo bars deliver about 80 frothy shampoos and they come in a marvelous array of ingredient combinations, including citrus, cinnamon-and-clove, honey-toffee, and rosemary-peppermint. You'll also love LUSH's solid conditioner bar. No luggage lock? No problem says PopSugar. A paper clip will keep suitcase zippers from separating just as well. Heading somewhere without a washing machine? Bring your own. The Scrubba Wash Bag is a nifty little laundry bag with an interior washboard that lets you handwash a small load of laundry in under five minutes. Small enough to fit in a day bag or backpack, it will allow you to pack less and travel lighter. Never go anywhere without your favorite fragrance? Among Cosmopolitan's packing tips: Tuck the bottle inside a sock to protect it from possible breakage. Take a page from a veteran jet setter's playbook and discover the joy of a capsule wardrobe. The concept is simple, as explained by Stylebook App: Pack mix-n-match outfits using no more than three base colors and you'll be amazed at how many days you can go without repeating.